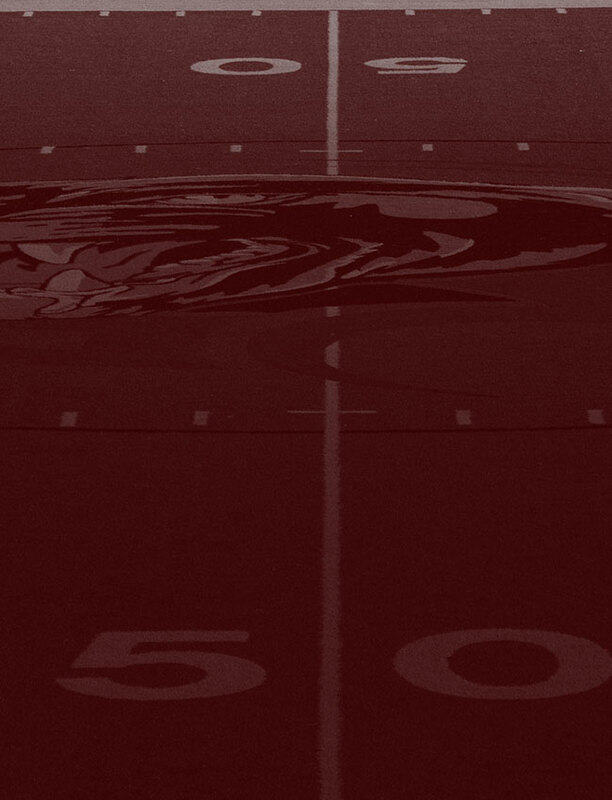 The Benton Freshman Panthers fell Thursday night 20-14 to Cabot North in a Central Arkansas Junior High Conference matchup at the Benton Athletic Complex. The loss drops Benton to 0-3 overall, 0-2 in CAJHC play. A fumbled handoff by Benton on the game’s first play resulted in a Cabot score five plays later and a quick 8-0 lead for Cabot. Benton answered the Cabot score with a 10-play, 65-yard drive that consumed 5:17 on the first quarter clock. Eight of the ten plays were runs, but the drive concluded with a 23-yard touchdown pass from Gianni Vannucci to Andre Lane. Casey Johnson ran in the conversion to tie the score at 8-8. Cabot responded by chewing up 6:40 in a 12-play, 60-yard touchdown drive in the second quarter to take a 14-8 halftime lead. Cabot received the second half kickoff and held the ball for the entire third quarter. On the final play of the quarter, Benton safety Cain Simmons intercepted a Caleb Perkins pass and returned it 23 yards. But Benton was unable to take advantage of the turnover. Back to back runs by Johnson netted two yards, a swing pass from Vannucci to Lane on third down lost three yards and a Vannucci pass on fourth down fell incomplete. With good field position at the Benton 42-yard line, Cabot took 8 plays and 4:30 to score and take a two-score lead at 20-8. With just 1:35 remaining in the game following the Cabot touchdown, Benton executed the two-minute offense flawlessly. Vannucci completed five straight passes, connecting with Lane three times, Andrew Williamson once, and Brendan Burks for a 10-yard touchdown to cut the Cabot lead to 20-14 with 30 seconds remaining. However, Benton was unable to recover an onside kick, allowing Cabot to take a knee on the game’s final play. Defensively, Benton linebackers Andrew Armstrong and Beau Wright led with seven tackles. Gage Ashalintubbi and Conner Jewell added five tackles. The 8th grade Benton Panthers dropped a heartbreaker 22-18 to the Cabot North Panthers. After trailing at halftime 16-6, Benton took the lead in the second half on a 94-yard run by Jamarius Morgan and a 45-yard run by Will Pompeo. Cabot scored with 37 seconds left to regain the lead. Benton reached the Cabot 2-yard line on the game’s final play when Pompeo was tackled just short of the end zone. Morgan rushed 6 times for 164 yards and 2 touchdowns while Pompeo carried 4 times for 66 yards. Jack Woolbright completed 2 of 4 passes for 41 yards. Brody Blanton led the defense with 7 tackles while Walker Davis and Tanner Turner forced fumbles with Davis and Jake Jones recovering fumbles. The 8th grade Panthers are now 1-1-1 on the season. Both Benton Junior High teams will play at Lake Hamilton next Thursday. The 8th grade game will kick off at 5:30 with the Freshman game to follow. 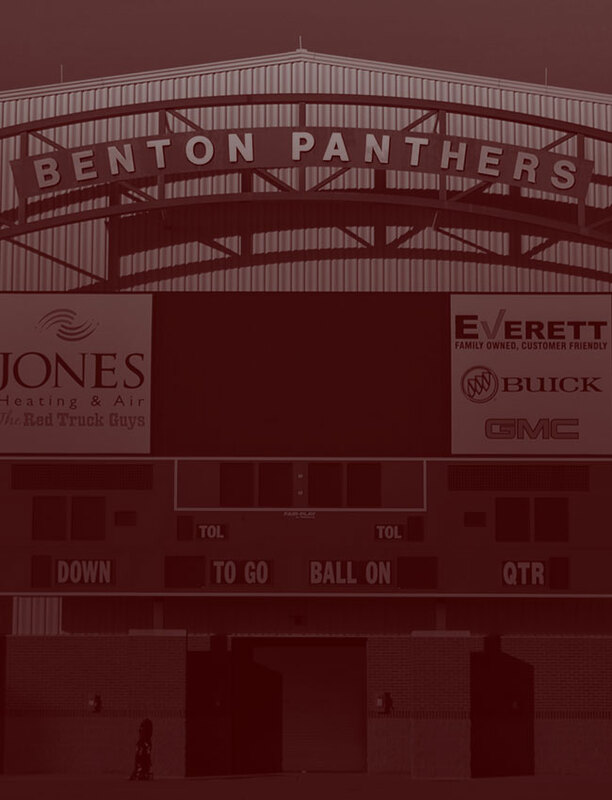 For Benton fans unable to make it to Lake Hamilton, a live video stream of both games will be available on bentonpantherfootball.com.